Halloween is behind us now. It is time to start thinking about holiday parties and our holiday cards. 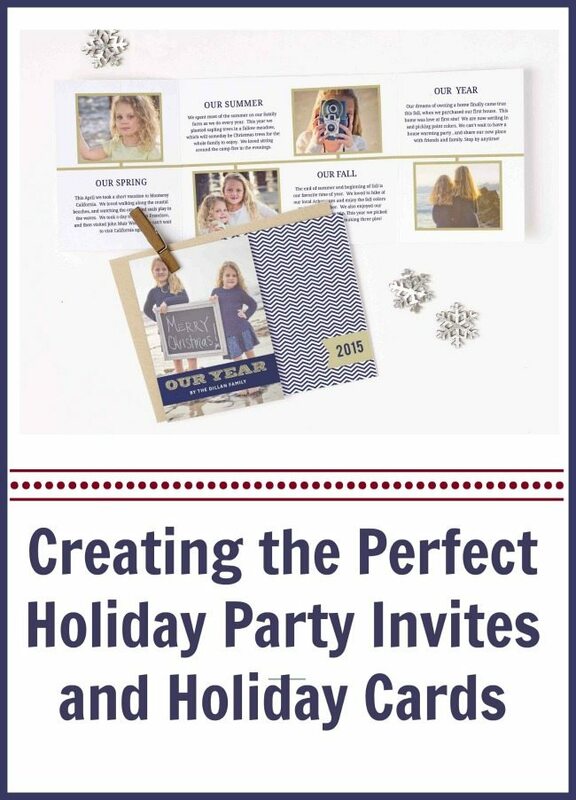 Thanks to Basic Invite for allowing me to create some super great Holiday Party Invites and Holiday Cards on their site and share them with you. Thankfully we have a picture of our family that I already want to use for our card. 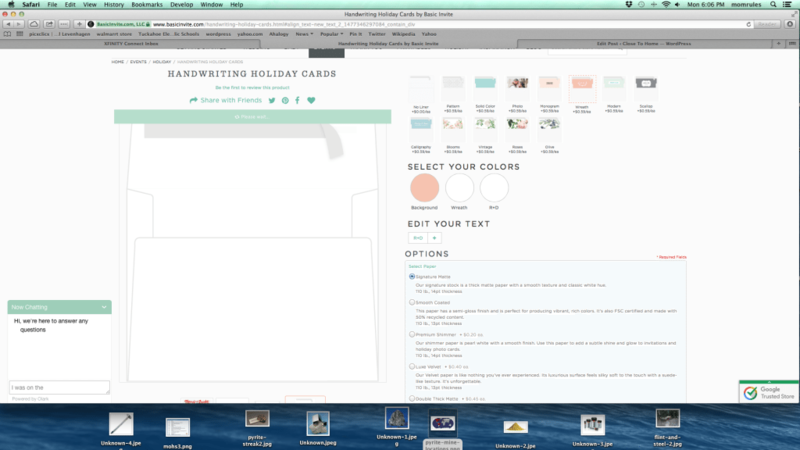 Getting the right photo is the hardest part when it comes to Creating your Holiday Cards on Basic Invite. We will show you just how easy and how much customization Basic Invites allows, when creating your custom holiday creations. All of Basic Invites Cards holiday cards are greeting cards but because they can be customized you can change just about every aspect of the card including wording, font, add text boxes and colors. 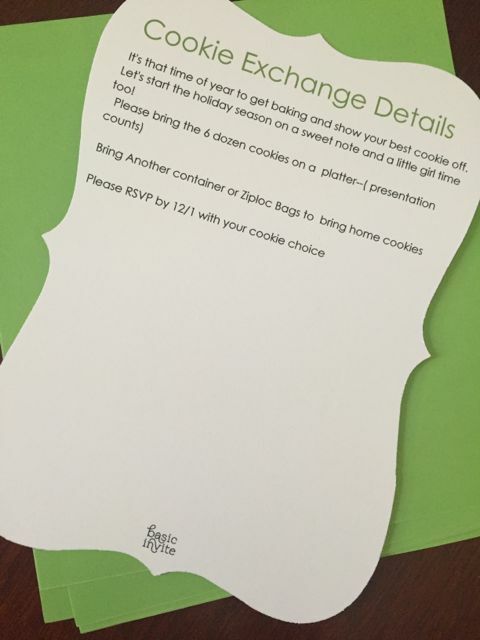 I turned this basic greeting card into a Cookie Exchange Invitation in just minutes. Look at all the options you have for the back of the card design. I love how my holiday invite turned out and all the options really makes it your own. How often do you see your card designs with another family’s picture on it? If you take advantage of all the customization options on Basic Invite, you won’t be seeing a similar card come into your mailbox. Custom Samples – Basic Invite is one of the few websites that allows customers the ability to order a printed sample of their actual invitation so they can see exactly how it will print as well as the paper quality before they ever have to place an order for 500 invitations. I used this service and it was well worth knowing the quality of the product. I came upon an issue where I could not change the text and took advantage of the online help. Within minutes the developers changed the card so I could edit it. Customer service was great. The card stock is very thick and the envelopes are not transparent. You do have to add the colored liner into the envelope but get the kids to help you with this. I am thrilled by the way my holiday cards came out and be on the look out for great discounts. When I made my cards, holiday cards were 30% off. Check out Basic Invite for all your holiday card needs. When do you send out your Holiday cards? How adorable!!! Now lets see if I can start the making the cards procces now a litlte earlier than last year! Such cute otions! My aunt is always the first holiday card we get. She sends them out so they arrive the day after Thanksgiving. I love that she kicks off the holiday season right away. Need to send out mine ASAP! That’s really exciting! Making Christmas Cards are one of my favorite. Those holiday invites are absolutely darling! 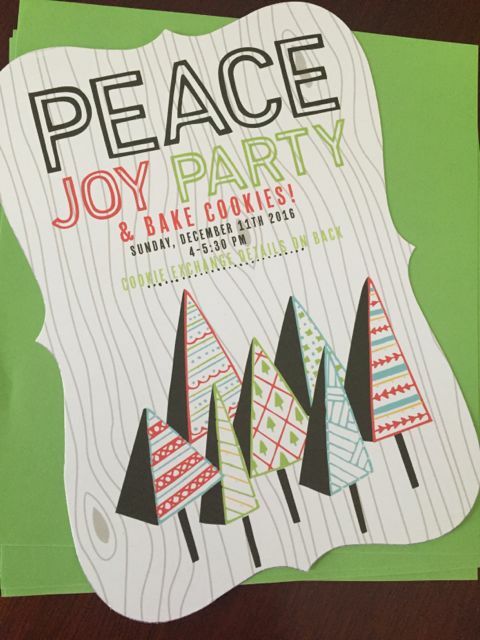 I cannot believe it is already that time of year to start planning holiday parties. I love these holiday cards. I usually have it planned so you will get them the day after thanksgiving. These are awesome- and so easy to design! I am hoping to get cards done this year… but it’s always the addressing them all that slows me down! These are really cute! And look as though even I can make them. Thank you!